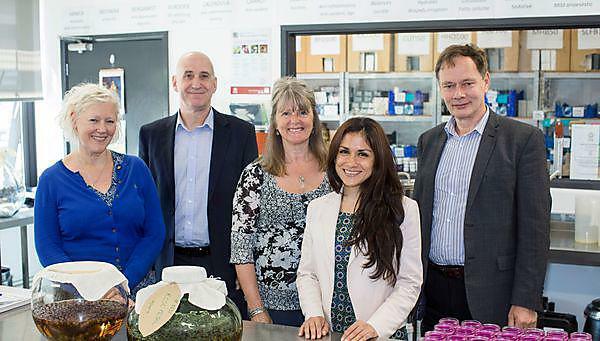 Three Cornish businesses are launching a Knowledge Transfer Partnership (KTP) with the University of Plymouth. Truro-based Made for Life Organics, Alan Harper Composites in Saltash and Redruth firm Bluefruit Software will be working with the University over the next two years. The three businesses are each hosting a KTP Associate who will focus on an innovative new project. Knowledge Transfer Partnerships is a UK-wide programme that helps businesses improve their competitiveness and productivity by collaborating with a university. A graduate KTP Associate works within the business to deliver a project, with support from the University. Based at the Health and Wellbeing Innovation Centre in Truro, Made for Life Organics creates a range of natural and organic skincare and beauty products. Handmade in Cornwall, the products have been developed combining dermatological science and botanicals. Alan Harper, Owner and Managing Director of Alan Harper Composites, is embarking on a KTP with the University of Plymouth to develop a new technology to repair composites. Colin Hague, who grew up in Cornwall and graduated from the University of Plymouth, has joined as KTP Associate and will help the business develop innovative and more environmentally-friendly commercial methods to repair composite materials. Through its KTP, software specialists Bluefruit are aiming to establish a new offer to medical companies. KTP Associate and University of Plymouth graduate Trudy Ward will carry out detailed research to help the company develop a compliance service for its medical clients. The firm, which writes high-end software for electronic gadgets and devices, hopes that by consolidating its move into this new area it will attract new clients from the medical sector.